Why is ALS so devastating? Because it destroys the nerve cells carrying signals to muscles, which gradually waste away. Paralysed sufferers end up communicating by blinking their eyes. When the muscles needed for breathing give up, people die – usually within 3 to 5 years after being diagnosed. What causes it? We know that 10% of cases are caused by genetic mutations, but the majority have no known cause. Several processes can be involved – for example, some proteins in our motor neuron cells change shape, clump together and become toxic. These protein clumps can then lead to the neuron cell’s death. So these algae are deadly killers? ALS is a rare disease that hits only 1 in 100,000 people, so it’s unlikely that exposure to blue-green algae is always lethal. 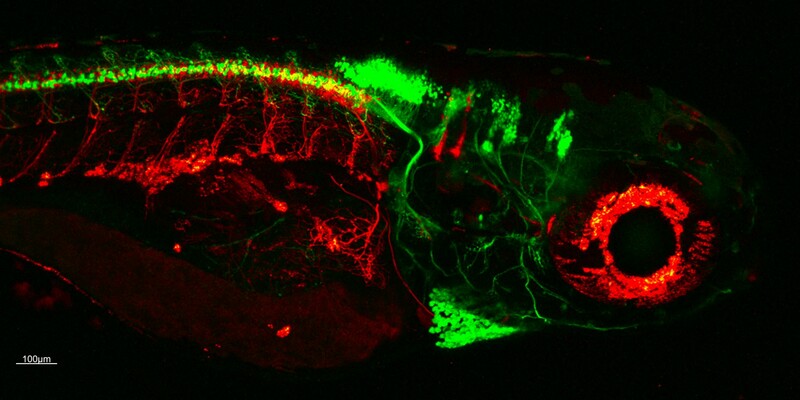 Through studies using zebrafish, researchers have shown that for ALS to develop microglia cells – ‘the cleaners of the nervous system’ – become unable to digest toxins and put them back into circulation to wreak havoc. Those see-through fish can help? Well, their genome is 86% like ours, so they are a useful model of how our cells work. And, their embryos are transparent! Scientists injected glowing green, ALS-causing proteins into these embryos, and observd the diseased proteins spread between neuron cells with their high-resolution confocal microscopes. Now, what next? The team behind the discovery came up with a technique that zaps unhealthy cells without affecting healthy ones. However, we still don’t know how ALS spreads between parts of the body. The goal for now is to disrupt its cell-to-cell movement in the same region, which could be enough to slow or even stop the progression of ALS in 450,000 sufferers worldwide. Researchers using the CRISPR/Cas9 gene-editing technology have managed to disable the defective gene SOD1 responsible for some cases of inherited ALS and extend the lifespan of diseased lab mice by 25%. An engineered virus was used deliver the CRISPR/Cas9 molecular machinery to switch off the mutated SOD1 gene found in motor neurons in the spinal cord. As a result, the onset of the disease was delayed by one month. As the lifespan of lab mice with ALS is usually four months, this meant their lives were extended by 25%. Psst, Marco distilled 32 research papers to save you 835.1 minutes. 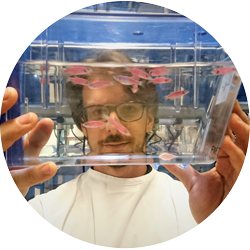 Marco is a Postdoctoral Fellow at Macquarie University in Sydney, Australia, researching neuronal communication and basic mechanisms in neurodegeneration.